My family and I enjoyed a lovely outing to The Dallas Arboretum last Saturday to view the annual Dallas Blooms. The flowers were out in full colorful force, and everywhere you looked the view was breathtaking. Yet, the one thing that most affected me during this visit was the sight of one red tulip blossoming in a sea of yellow daffodils and tulips. 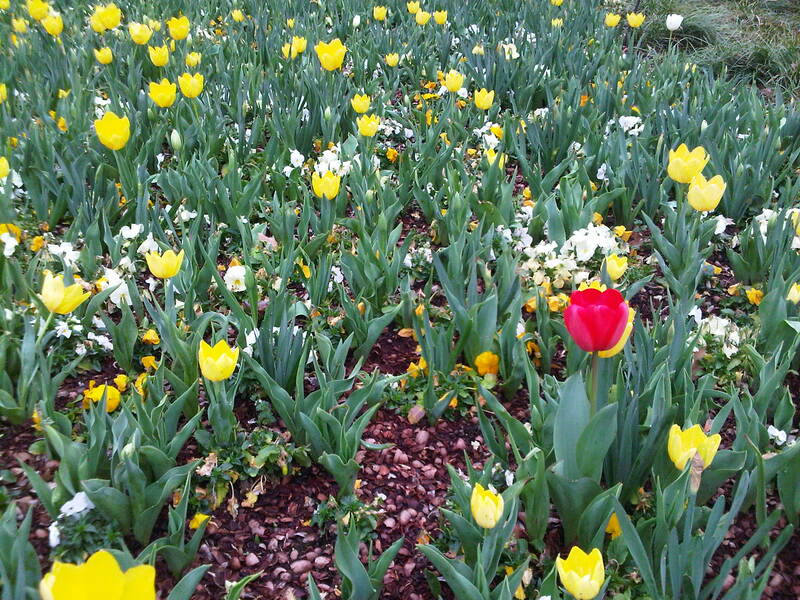 It made me smile and root for that sweet red tulip to be proud of not looking like the others. Each of us is a red tulip in a field of yellow flowers, beautifully created as a unique individual unlike any other person in the history of the universe. Despite our fine, special design, we often cover up the things that make us unique so we will look like the yellow flowers around us. Why do we do this? Downplaying the things that make us different is counter to the greater plan for our lives. When we celebrate ourselves just as we are, we are opening ourselves up to the opportunities we were made for and the people we were meant to know. When we relax in our skin, we feel better, we are happier and the result is evident to everyone around us. To make ourselves into the yellow flowers is a wasteful exertion of energy and, quite frankly, a sad way to live one’s life. Embrace your differences, be assured you look like you do on purpose and enjoy being a red tulip! Learn more about yourself & your personal style! Receive notifications of new posts by email.